You’re convinced that customers are out there looking for your product or service – but you can’t find them. The Google search engine seems like a big mystery, and your content ends up on page 6 of the search results…if you can find it at all. You need a comprehensive SEO strategy, and one key piece is keyword research. Rank higher in Google search. Call (443) 475-0787 or Contact Us today. In theory, keyword research is simple. Produce a word or phrase that you want to target and create content built around that word or phrase. While it might not be rocket science it does require some thought, creativity and strategy to get positive results. 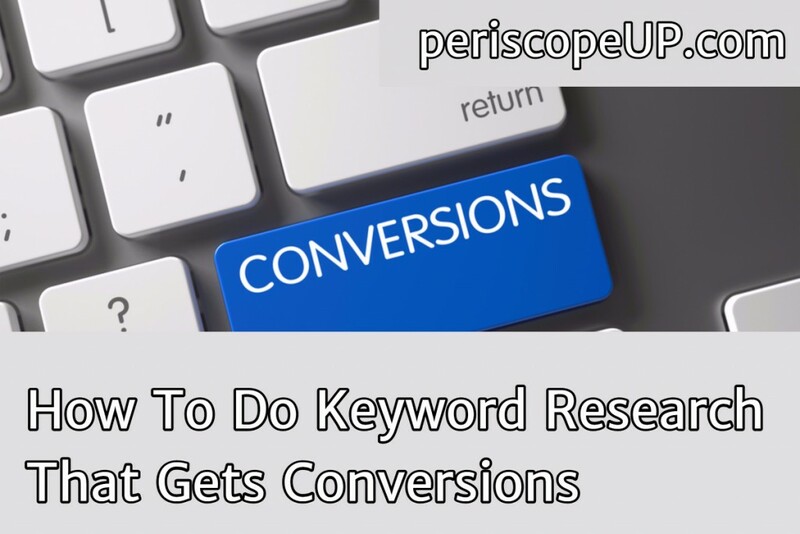 Keyword research requires using the same thought processes as a writer. You can use tools like SEM Rush to generate a lot of keyword options, and those are fine to use as a starting point. But you may also find the results to be too generic for your unique product or service. Start thinking like one of your potential customers. Think about what they might be searching for. Create a list of words or phrases you believe they’re likely to use in a search engine. Then use the Google AdWords tool to see how many people are searching on that phrase per month and how much competition there is. What’s good traffic volume? It’s going to be different for each industry. If you market car loans there’s going to be lot of volume (thousands), but also high competition. If you market dog collars for Swedish Vallhunds there won’t be much volume. Still, low competition gives you clear path to the top of the rankings. Most industries see a mix of both. The right keyword strategy will have a blend of high-competition/big-traffic keywords and also the low-hanging fruit of low-competition/low-traffic catchphrases. Be precise in your keyword selection. Make sure the word or phrase you use describes exactly what’s on the page. Again, think like a user—when you search for something online, you know you can find exactly what you want. If you land on a site that provides something that’s kinda-sorta what you want, but not really, you’ll click back to the search results and try again. It’s tempting when you see juicy traffic numbers on a word or phrase that’s close to describing your content. It’s easy to think “what’s the harm?” if someone comes to your site and clicks back. If they were just a random user, that’s fine, but this is a different context. In choosing to optimize for one keyword/phrase, you chose against another, that might have brought smaller amounts of traffic, but more likely to convert. Also, when Google sees your bounce rate is high—that users are immediately clicking off your site—they drop your rankings. Google is the standard in the industry because they give people what they’re looking for. If you’re not providing it, you’ll be back on page 6. Be aware of the difference between a “Buy” term and an “About” term. If you have a phrase that says “buy widgets today” or “what do widgets cost” or “widgets store nearest me”, you’re targeting someone ready to convert. A phrase like “benefits of widgets” is someone looking for information. Ideally, you have one Buy term and one About term for each page on your site to get prospects at different stages of the sales funnel. When you settle on a keyword or phrase, test it out and see what Google’s search delivers. A lot of words and phrases have multiple meanings, and Google may deliver results that differ from what you intend—maybe even in another industry altogether. Make sure Google is thinking like you are. Now start looking through the top results. See what they’re providing and what separates you from the competition. Know your unique selling proposition and what’s unique about the way you present it. But now we’re moving beyond keyword research and into content creation – and that’s fodder for another post. Keyword research doesn’t require an Ivy League masters degree, but that doesn’t mean you can rush through it. It requires a mix of creativity, precision and strategic thinking to produce the results you want. Increase links, likes, shares & sales with periscopeUP. Call (443) 475-0787 or Contact Us today.